Spring is here and in Glenelg, as elsewhere in Adelaide, there’s the contrast between the native plants and those introduced by the colonials. 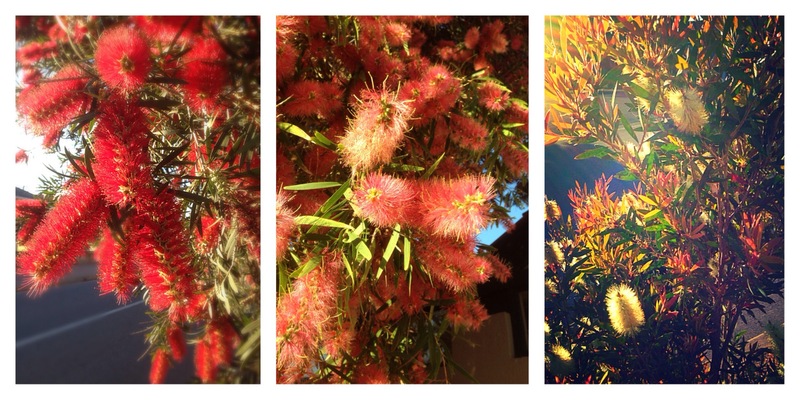 Today’s contest: bottlebrush (Callistemon, a native myrtle) v roses, both equally as Aussie and British as it’s possible to be. Best of all, the jacaranda tree. 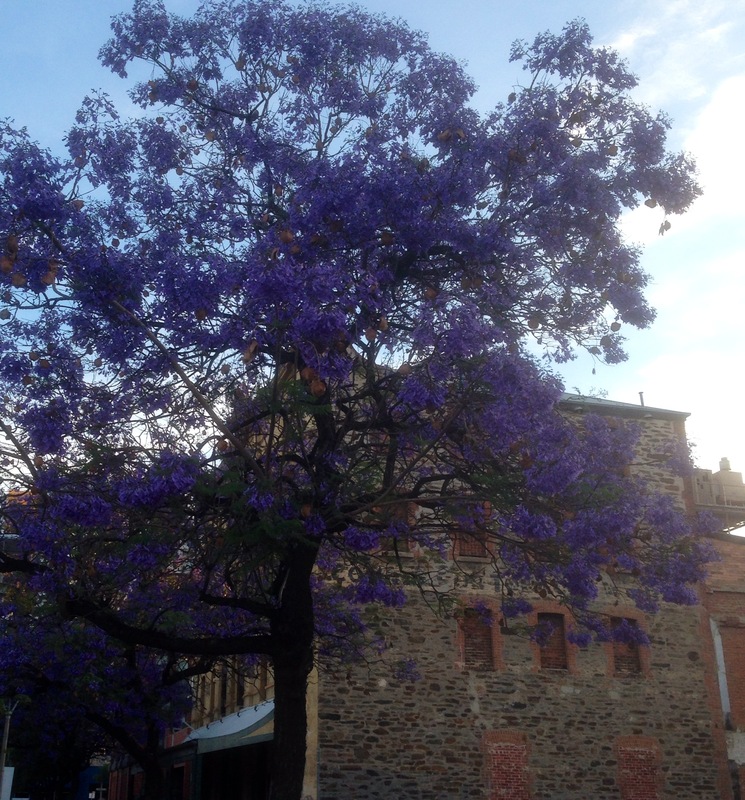 We don’t have them by the beach, but the city is awash with purple. Native or introduced, beauty is all around and the air is warm and filled with the scent of spring. 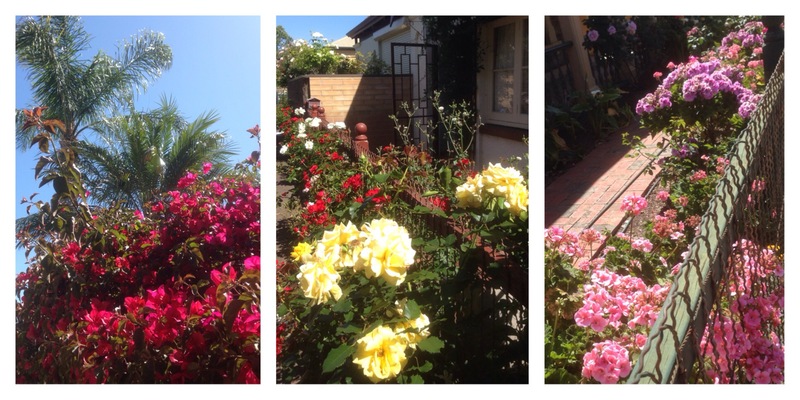 As an ex-pat it’s reassuring to see the flowers of home- particularly as I originate from a frequent winner of Britain in Bloom and a rose town, Aberdeen. As a migrant the native flora appeals to my sense of the exotic and reminds me where I am. It’s like a journey in flowers. Got to love the jacaranda trees. Good attempt on the photo, better than my tries years ago on a street of jacarandas in LA, but it’s hard to capture their full beauty. Maybe Kathryn can give us both some tips?! Ah, yes. That’s the business, a great photo. But no criticism implied to you, you’ve posted some very good pics. None taken! I just point my phone and click. Lucky to have such photogenic material. Any new posts your way? Jacarandas are my favorite trees…gorgeous tree & shot. They are rapidly becoming mine too, thanks.